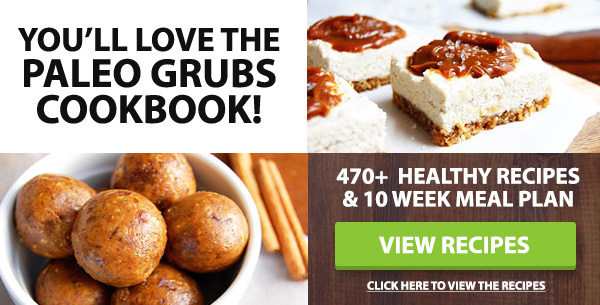 One of my favorite things about following a paleo diet and eating healthy is finding new and creative ways to enjoy some of my old favorite foods. Years ago, I would have never imagined that it’s not only possible to enjoy ‘healthy’ cookies that taste great, but that they would also end up tasting even better than the old sugar filled cookies that I used to eat. Nowadays, I can’t even begin to imagine making homemade cookies with anything but all natural paleo ingredients. That doesn’t mean baking cookies has to be complicated though. 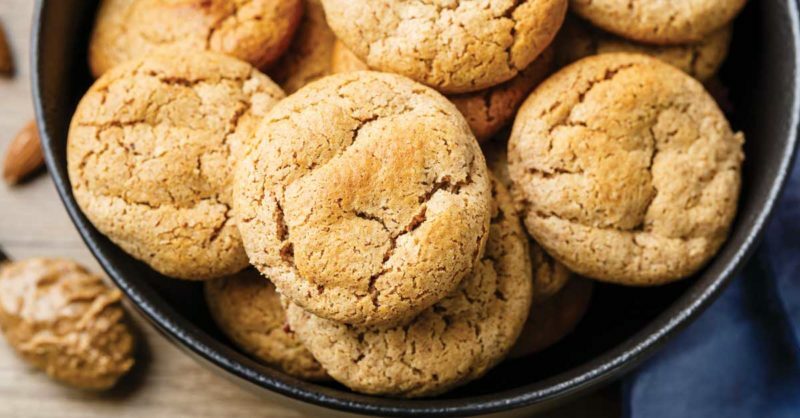 Far from it, this recipe for easy almond butter cookies is proof of that! 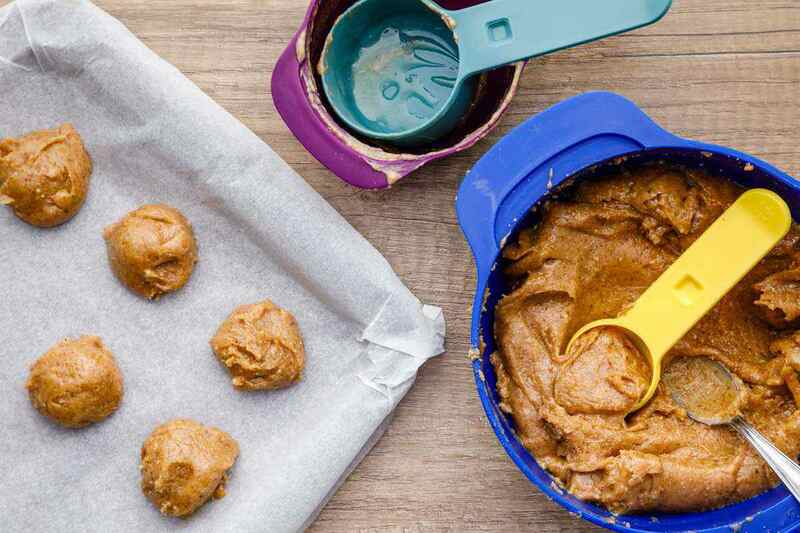 The recipe only requires a handful of simple ingredients and about 20 minutes of your time to make a batch of a dozen delicious almond butter cookies. Healthy Cookies Taste Good, Too! Cookies are one of those foods that are definitely all too easy to binge on. I’m not ashamed to admit there’s been periods of my life where I’ve gone through way too many cookies in one sitting. The big downside to that is most of the cookies that you can buy from local retailers are pure junk food, filled with sugar, trans fats, and other nasty additives. Nine out of ten times, you’re always going to be better off baking your own cookies, but even that, that doesn’t guarantee they will be healthy. 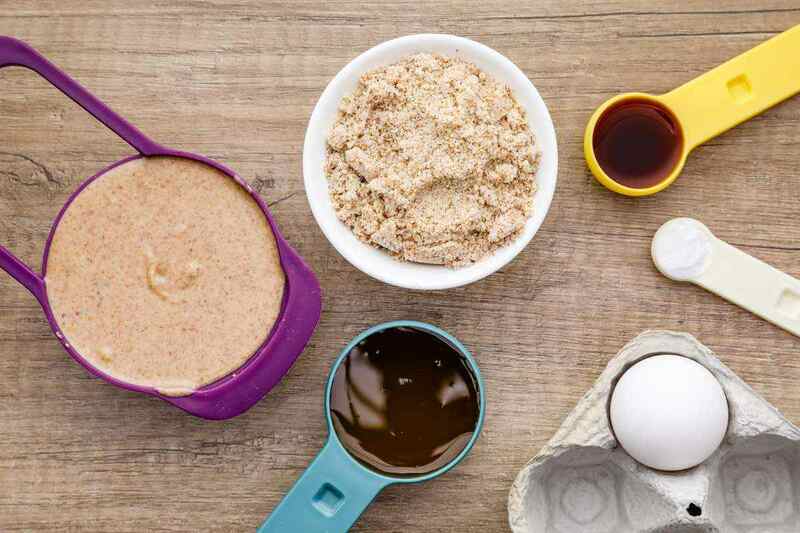 Many baking recipes make use of refined flours, sugars and other ingredients that are off-limits when following a paleo diet. 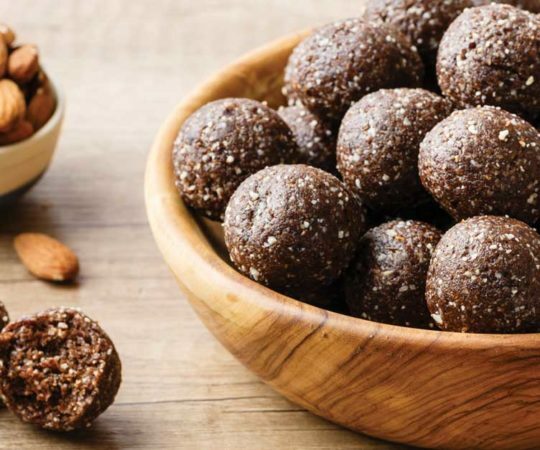 Thankfully, there’s still plenty of ingredients you can use to make mouth watering paleo cookies. 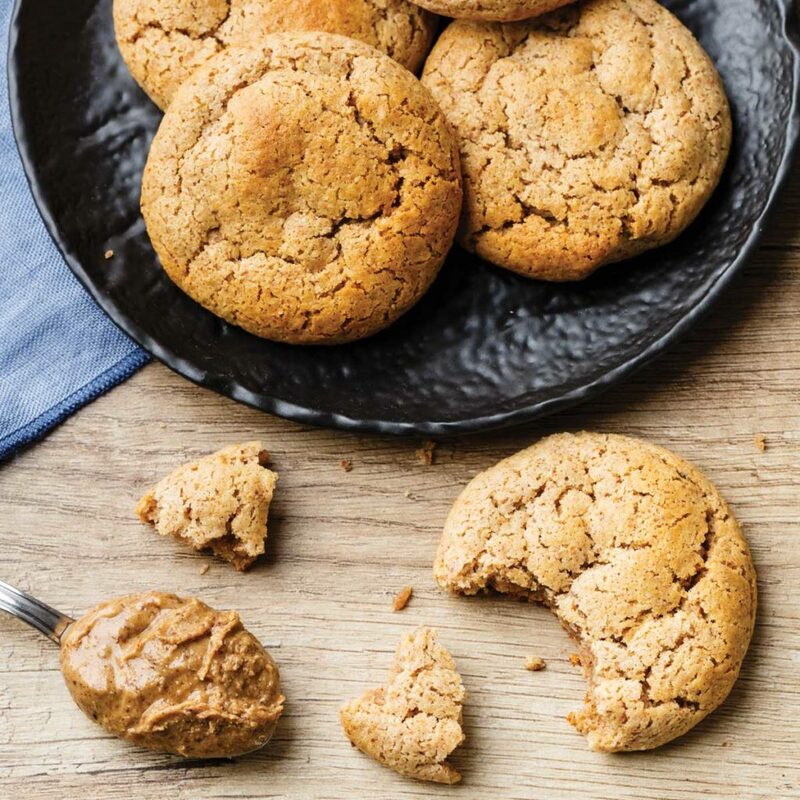 As the name suggests, almond butter is used as a base for this cookie recipe to give them their delightfully sweet and nutty flavor. 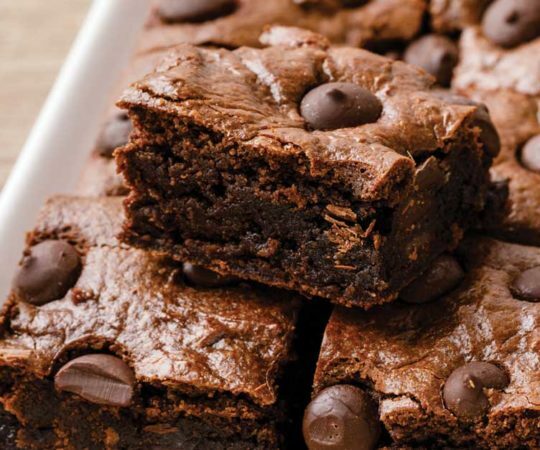 In addition, almond flour is used in place of any type of refined wheat flour. 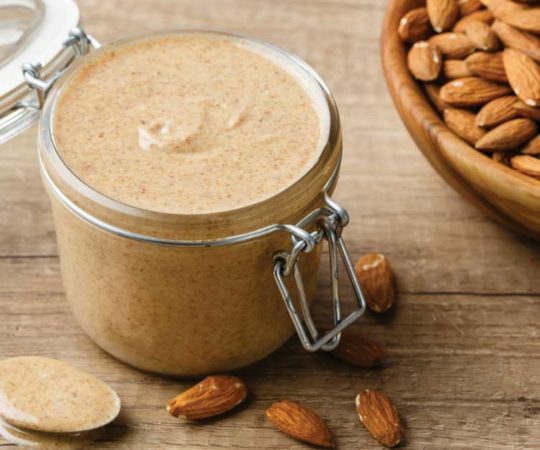 While pretty much all types of nuts can provide you with some great health benefits, almonds just might be my favorite. They’re full of healthy fats, vitamins, minerals, and antioxidants. Not only do they help to protect you from certain diseases, but studies have also suggested they may help to even boost your cognitive function and improve your memory as well. 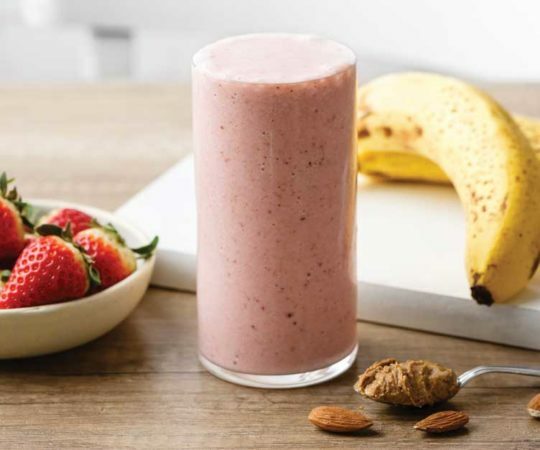 (1) There’s definitely a link between eating good and feeling good, making almonds one of my top choices to include in my paleo eating habits. The other ingredients used in these cookies are fairly standard fare when it comes to baking. You’ll need an egg, some baking soda, and you can optionally add some vanilla extract in if you would like. In order to give the cookies a slightly sweeter taste, you’ll also be adding in some honey to the mix. Honey is without a doubt one of my favorite natural sweeteners next to organic maple syrup. It’s absolutely loaded with beneficial nutrients, and there is even recent research that suggests that honey might be a great natural anticancer food. 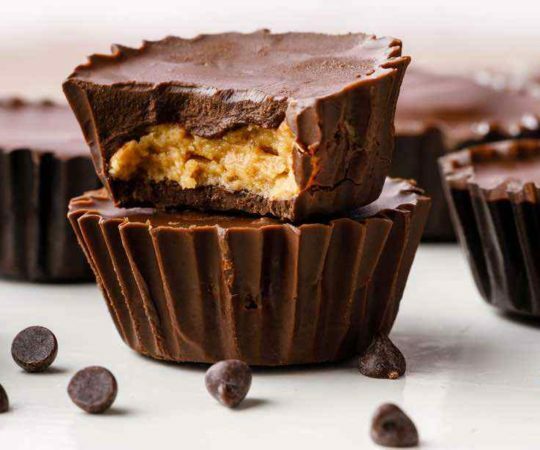 (2) All the more reason to enjoy a sweet paleo treat from time to time. In all honesty, most of the time when I bake paleo cookies, I go with the usual classic staples that you first expect. I make chocolate chip cookies at least once a month. That being said, I still like to broaden my cookie horizons every now and then. You never know when you can discover a new kind of cookie that makes its way onto your list of favorites. 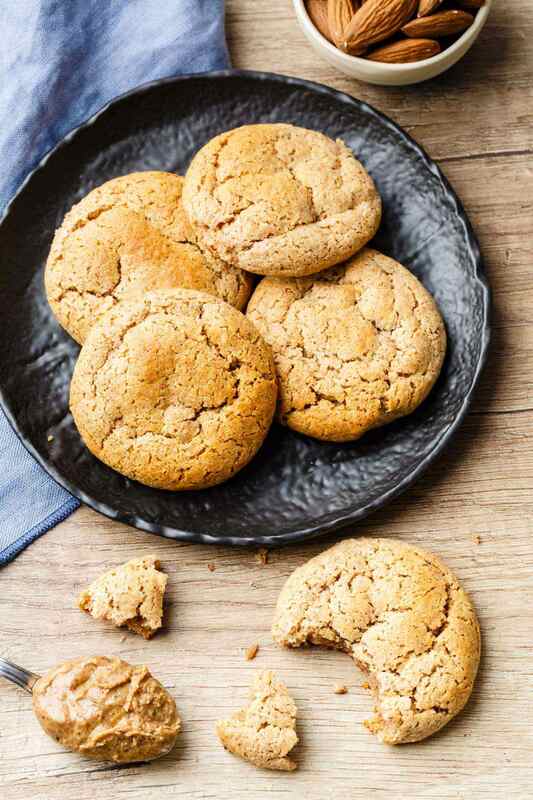 That’s exactly what these almond butter cookies accomplished though, and when you consider how quick and easy they are to make, they’re definitely a no-brainer to enjoy to satisfy your sweet tooth when on a paleo diet. Place all the ingredients in a bowl and mix to combine. 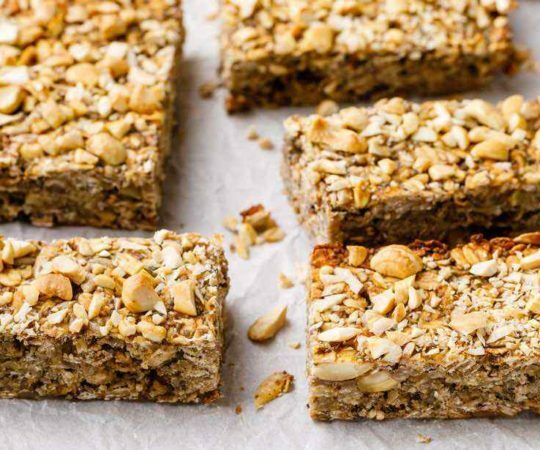 Drop by rounded tablespoon onto the prepared baking sheet.